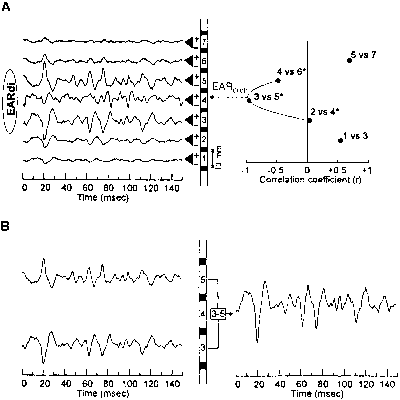 Electromyography (EMG) is the art of describing myoelectric signals (1), the electrical manifestations of the excitation process elicited by action potentials propagating along muscle fiber membranes. The EMG signal is detected with electrodes, and then amplified, filtered, and displayed on a screen or digitized to facilitate further analysis. 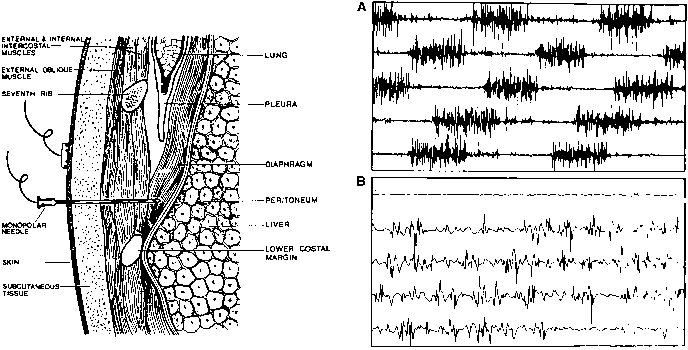 Electromyography of respiratory muscles can be used to assess the level and pattern of their activation, so as to detect and diagnose neuromuscular pathology, and, when coupled with tests of mechanical function, to assess the efficacy of the muscles' contractile function (see Electromechanical Effectiveness in Section 6 of this Statement). Single fiber action potential. Depolarization of a muscle fiber membrane, caused by the flow of ions across the sarcolemma, generates an electric field outside the muscle fiber, which can be detected by extracellular recording electrodes as voltage changes over time; this voltage transient is known as the action potential. Although the transmembrane potential changes generated by depolarization of a given fiber are always identical in shape and amplitude (the "all or nothing" phenomenon), the shape and amplitude of a recorded action potential depend on factors such as the orientation of the recording electrodes with respect to the active muscle fibers, the distance between the muscle fibers and the electrodes, the filtering properties of the electrodes, and the muscle fiber action potential conduction velocity (2). In humans, muscle fiber conduction velocity ranges from 2 to 6 m/second (3), depending on passive and active components of the muscle fiber membrane. The passive components (cable properties) include capacitance per unit length (proportional to fiber circumference) and internal resistance (inversely proportional to the square of the fiber diameter). The active components (membrane excitability) depend on ion gradients across the membrane and properties of the ion gating channels, which in turn are influenced by electric field strength, temperature, and chemical milieu (especially pH and Ca2+ concentrations). Muscle fiber conduction velocity has been shown to vary with fiber diameter (4), temperature (3), electrolyte gradients atross the cell membrane (5), pH (5), and fatigue S1, 6). Single motor unit action potential. Each motor unit is composed of a number of individual muscle fibers innervated by a single anterior horn cell. All individual fibers within a motor unit are activated almost simultaneously. The amplitude and shape of the resulting motor unit action potential (MUAP) are influenced not only by all the factors that can affect single fiber action potentials, but also by such factors as the number of fibers within the motor unit, the spatial dispersion of motor unit fibers, differences in length of the motor neuron terminal axons, and possibly fiber-to-fiber differences in action potential conduction velocity (2, 7). Summation of motor unit signals. Compound muscle action potentials (cMAPs) represent the summated electrical activity generated by all motor units synchronously activated by nerve stimulation (see subsequent passages). The observed cMAP is influenced by the number of activated motor units, their synchronization, the shape of individual MUAPs, and cancellation of opposite phase potentials. The interference pattern EMG results from the temporal and spatial summation of asynchronously firing MUAP trains during spontaneous muscle contractions, when individual MUAPs can no longer be distinguished (8). The observed interference pattern EMG is thus a function of the number of active motor units, their firing rates and synchronization, the shapes of their individual MUAPs (in turn dependent on all the factors listed here previously), and cancellation of opposite phase potentials (2, 8). Recording electrodes. Electromyography signals can be detected as the difference between the signal from an electrode placed on or in the muscle under investigation (active electrode) and the signal from another electrode placed in an electrically silent region ("indifferent" or reference electrode). This electrode arrangement is usually referred to as a monopolar electrode. When the two electrodes connected to a differential amplifier are positioned on or in the same muscle under investigation, the electrode arrangement is usually referred to as bipolar. optimal EMG signals depend on the use of electrodes with appropriate configuration and fixed geometry, on maintenance of electrode position relative to the muscle, on alignment of the electrodes with respect to fiber direction, on selection of sites with relatively low density of motor end plates, and on avoidance of signal disturbances. Electrodes can be placed on the skin overlying the neck, the chest wall muscles, or the area of apposition of the diaphragm to the chest wall; they can be swallowed into the esophagus to measure crural diaphragm EMG; or they can be inserted into the respiratory muscle of interest, using needle, wire, or hook electrodes. Selection of an appropriate electrode system requires consideration of advantages and disadvantages specific to the technique and the context of the study (Table 1). Discomfort Difficult to place Small pneumothorax risk Possible sampling error but no standards exist for electrode design or positioning. Furthermore, there is no consensus on methods either to maintain electrode orientation with respect to muscle fibers and innervation zones or to control for influences of variable muscle-to-electrode distance (as, e.g., with variations in the amount of subcutaneous fat), or for cross-talk from adjacent muscles. Advantages of surface electrodes are their noninvasive nature and their ability to sample a large number of motor units. For many individual nondiaphragm respiratory muscles, however, their proximity to one another and to nonrespiratory trunk muscles makes surface electrode recordings unreliable. Examples include cross-talk from scalenes and platysma in recordings of sternocleidomastoids (9), from external oblique and pectoralis in recordings of intercostal muscles, and among various abdominal muscles (10, 11). Furthermore, variations in interindividual body habitus, for example, subcutaneous fat tissue or deformity of the chest wall, produce variable muscle-to-electrode filtering effects. Esophageal electrodes. Esophageal electrodes are metal electrodes mounted on a catheter, which is inserted via the nose or mouth and positioned with the electrode rings at the level of the crural diaphragm. In adults, the motor innervation zone of the crural diaphragm lies 1-3 cm cephalad to the gastroesophageal junction, with the left side approximately 1 cm cephalad to the right (12). Esophageal electrode catheters are often equipped with gastric balloons and weights on the proximal end, which anchor them in position when outward traction pulls the gastric balloon snugly against the gastroesophageal junction. This feature may limit motion of the electrodes with respect to the esophagus, but it does not prevent either diaphragm movement relative to the electrodes, or the resulting artifacts (1316). Motion artifacts are minimized in semistatic contractions. Figure 1. (A) Schematic description of the methods used to locate the center of the electrically active region of the diaphragm (EARdi,ctr). Left: Raw signals from each of seven electrode pairs on an esophageal probe. Center: The probe with its eight electrodes. Right: Correlation coefficients for cross-correlation of signals from various pairs of electrodes. The dashed curve is the best fit curve, from which the ERA-di ctr position is calculated. (B) An example of the double subtraction technique. Diaphragm EMG signals from electrode pairs located 10 mm caudal and cephalad to the EAR-di ctr are shown. In this case, the signal from Pair 5 was subtracted from that of Pair 3, resulting in increased signal amplitude. Reprinted by permission from Reference 19.
est to the crural diaphragm at any point in the respiratory cycle. Application of a double subtraction technique using the difference between signals obtained from each electrode pair caudal and cranial to the crural diaphragm (19) further enhances the signal-to-noise ratio. Advantages of esophageal recordings are that they are not influenced by obesity and that, when used with or combined into the same catheter as esophageal and gastric pressure monitors (12), they enable simultaneous recordings of diaphragm EMG and transdiaphragmatic pressure. Disadvantages include the discomfort and the remote risks of regurgitation, aspiration, and vagally mediated bradycardia associated with their placement. Diaphragmatic hernia may be a source of error in esophageal recordings. In theory, the EMG from esophageal electrodes may not be representative of the diaphragm as a whole, because it samples only the crural portions of the diaphragm. 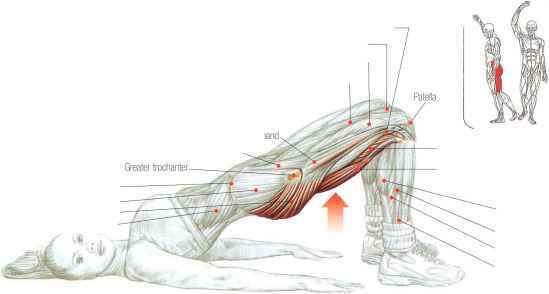 However, although crural-costal dissociation during breathing has been demonstrated in animals (20, 21), it appears not to be a problem in humans (22-24). Intramuscular electrodes: advantages. Intramuscular electrodes provide relatively selective recordings from nondia-phragm respiratory muscles (9-11, 25-30) with sufficient discrimination of individual motor unit activity to allow evidence of denervation or myopathy to be detected. Whitelaw and Feroah (30) have provided a detailed description of a safe method to record single motor unit activity in intercostal muscles with wire electrodes. A number of investigators have demonstrated techniques for placement of monopolar or bipolar needle electrodes in the human diaphragm, either by a medial subcostal approach (31, 32) or by a lower intercostal approach (33, 34) (Figure 2), sometimes assisted by real-time ultrasound. Fine wire electrodes for single motor unit recordings have also been implanted in the right hemidiaphragms of humans (13, 35). Although the flexible nature of wire electrodes makes them relatively stable during volume changes of up to 1.5 L around the FRC, artifactual changes in recording conditions occur with larger volume changes (13). Wire im plants are often used in upper airway muscle studies (see Electromyography in Section 8 of this Statement). As far as advantages and disadvantages are concerned, intramuscular electrodes are optimal for analysis of action potentials in the assessment of myopathic changes and for comparing single motor unit firing frequencies among different respiratory muscles and clinical conditions (13) (Figures 3 and 4). Cross-talk is less of a problem with implanted than surface electrodes, although it is not completely eliminated. Implanted electrodes are difficult to place, however, and are potentially less useful than surface or esophageal recordings for quantifying global respiratory muscle activity. For intercostal recordings and especially for triangularis sterni and diaphragm recordings (26), there is a small risk of pneumothorax. As with any skin-penetrating technique, there are risks of bleeding and bruising. With the use of sterile disposable needles or wires, there is no practical risk of transmission of infectious disease. EMG signal processing. The preferred amplifier design for detection of weak myoelectric signals is a differential amplifier, which amplifies the difference between two paired inputs and thereby eliminates signals, such as 50 or 60 Hz from power lines, that have common influences on both outputs (common mode rejection). Input impedance is high to minimize loss of voltage across the two active electrodes. Bandpass filtering is usually employed, with a high-pass filter to remove the signal's direct current component and a low-pass filter set below the data acquisition frequency to avoid distortion (by aliasing) of the signal caused by undersampling. Filter settings will vary, depending on the type of electrode and the application; for surface or esophageal recordings, a band width of 10 to 1,000 Hz is often used. Figure 2. Intercostal approach to placement of an electromyography needle in the diaphragm. The needle is inserted one interspace above the lower costal margin between the anterior axillary and medial clavicular lines. During quiet respiration, the needle passes well away from the visceral pleura. Reprinted by permission from Reference 34. Figure 3. (A) A needle EMG record from a normal diaphragm at 200 milliseconds/division and 200 mV/division (B) The same subject recorded at 10 milliseconds/division and 200 mV/division. Reprinted by permission from Reference 34. Figure 4. (A) Needle EMG of the diaphragm of a patient with porphy-ric neuropathy, showing a few fibrillation potentials and positive wave potentials, along with QRS complexes (calibration, 10 milliseconds/division and 100 mV/division). (B) Needle EMG of the same patient 4 weeks later, showing increased numbers of positive sharp waves and fibrillation. Reprinted by permission from Reference 34.
scope equipped with a camera. A more versatile system, essential for frequency domain measurements, is a computer with an analog-to-digital converter. Because in digitally sampled signals only spectral components of frequencies lower than half the sampling frequency can be observed (the Nyqvist theorem), the sampling frequency should be chosen accordingly. To provide an analog signal proportional to "average" EMG activity at any point in time, many investigators subject the raw EMG signal to rectification and "leaky" integration. Unless sophisticated analog gating and/or filtering techniques are employed, however, the effects of multiple artifacts detailed in the following sections limit this technique to providing only a crude estimation of the level of muscle activation.